63. בֹּא רְאֵה, כָּךְ גַּם לְמַעְלָה יֵשׁ לְבוּשׁ, וְגוּף, וּנְשָׁמָה, וּנְשָׁמָה לִנְשָׁמָה. הַשָּׁמַיִם וְחֵילוֹתֵיהֶם אֵלֶּה אוֹתָם לְבוּשִׁים, וּכְנֶסֶת יִשְׂרָאֵל זֶה הַגּוּף שֶׁמְּקַבֵּל אֶת הַנְּשָׁמָה שֶׁהִיא תִפְאֶרֶת יִשְׂרָאֵל, וְעַל כָּךְ הִיא גּוּף לַנְּשָׁמָה. נְשָׁמָה שֶׁאָמַרְנוּ זוֹ תִפְאֶרֶת יִשְׂרָאֵל, שֶׁהִיא תּוֹרָה מַמָּשׁ. וּנְשָׁמָה לִנְשָׁמָה זֶהוּ הָעַתִּיק הַקָּדוֹשׁ, וְהַכֹּל אָחוּז זֶה בָּזֶה. 64. אוֹי לְאוֹתָם רְשָׁעִים שֶׁאוֹמְרִים שֶׁהַתּוֹרָה הִיא רַק סִפּוּר בְּעָלְמָא, וְהֵם מִסְתַּכְּלִים בִּלְבוּשׁ זֶה וְלֹא יוֹתֵר. אַשְׁרֵי הַצַּדִּיקִים שֶׁמִּסְתַּכְּלִים בַּתּוֹרָה כָּרָאוּי. יַיִן אֵינוֹ יוֹשֵׁב, רַק בְּקַנְקַן. כָּךְ הַתּוֹרָה אֵינָהּ יוֹשֶׁבֶת אֶלָּא בִּלְבוּשׁ זֶה, וְעַל כָּךְ לֹא צָרִיךְ לְהִסְתַּכֵּל אֶלָּא בְּמַה שֶּׁיֵּשׁ תַּחַת הַלְּבוּשׁ. וְעַל כָּךְ כָּל הַדְּבָרִים הַלָּלוּ וְכָל הַסִּפּוּרִים הַלָּלוּ הֵם לְבוּשִׁים. Malchut is the aspect of the body and the heavens and the spiritual systems are the garments of it. 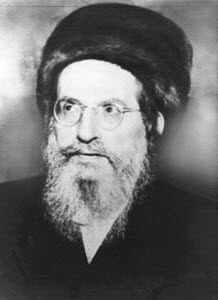 Zeir Anpin is dressed in the body and the Torah is the soul that the scholars study its secrets. The soul of the soul mentioned above (#62) is the highest level of Keter that is called ‘Atika Kadisha’ (‘Holy Ancient’). This level connects to Zeir Anpin, Zeir Anpin connects to Malchut to give it ability to access the spiritual realms and the worlds of B’riah (Creation), Yetzirah (Formation) and Asiah (Action). The wicked who say that the Torah is only but a story and don’t see beyond it will suffer for their lack of connection to the soul of the Torah. The righteous that know how to study the Torah are praised and elevated. Like wine needs a proper vessel, so the Torah needs the stories as garments to be expressed in Malchut and help uncover the concealed light. After the Final Redemption and the peace that the King Mashiach would bring to the world, the spiritual level in Malchut would be elevated because of the additional soul from Atika Kadisha. Then we would then be able to study and understand even spiritual levels above and beyond the knowledge of Kabbalah that we have today. God promised to bring a new Torah that will benefit the entire world. Our ability to grasp the ways of the spiritual system is very limited now because we fell deep into the Klipot of the material world. We are busy like bees, trapped in the daily routine, working for food and maybe some rest once a week or once a year. Totally the aspect of the slavery we experienced in Egypt. Imagine a day when the veil that blocks our ability to see the truth is removed. Imagine a day when we will be able to have the knowledge and abilities of all creatures in nature.Bat can ‘see’ in the dark, a deer can regrow Antlers, Lizard can grow tails, Spiders can regenerate legs. There are many wondrous abilities of animals and people that we can find in this world. It’s relatively rare among people but the fact of the matter is that as humans we are able to achieve many great levels. The lesson here is to understand that we must connect our souls to the study of Torah through the Zohar. It is the highest level of study that we can do in order to achieve higher levels of consciousness and prepare our souls for the world to come. Hopefully in this lifetime but we keep the righteous work to merit the Resurrection. The Torah and our souls are eternals and a connection between the two is important for our future. At the end of our silent prayer (Amida) that is on the level of Atziluth we meditate on a verse from the Torah that have our name and or start and end with the first and last letters of our name. The Kabbalists tell us that this meditation helps us remember our name after death. Knowing it would save us from the angel that beat us until we remember our name, testing our level of connection to the Torah as the root of every Israelite soul is in the Torah. The sages ( פסיקתא רבתי פרשה לו, ב) tell us that in the future Jerusalem will have high towers of about 12 kilometers each. We won’t need elevators because we will be able to fly to our spacious apartments in the sky. The Torah is the ‘DNA’ of Creation and when we are able to connect to Keter of our soul, we will be able to change our individual DNA at will. It will allow us to fly or create a cloud that will transport us to where we desire. One single sperm cell carries the DNA and the entire life ‘story’ of a person. Scientists can replicate almost anything in nature from one single DNA source. With access to DNA through consciousness we can come to a point of mind over matter but it depends on our connection to the Torah and its studies. The Daily Zohar is not always easy place to study but it was designed in a way to gradually increase the abilities of the students to understand the Torah and the spiritual system that governs our lives. We study every paragraph of the Zohar to remove its garment and reveal its secrets following the teachings of Rabbi Ashlag of blessed memory. Each direct Zohar study is a great and important investment in the future of your soul. The properties and money that we may gather in this world are only temporary and have no value after death. Only what we build spiritually would help us when we will be resurrected.